Real cider is served normally still & often cloudy. Cheers! Most cider is produced from a ‘blend’ of different apples, you can also get ‘single’ variety ciders. Each cider maker has their own blend of the hundreds of varieties of apples available, the source and ingredients are a closely guarded secret. Long established family producers have handed down the production process to their sons and daughters. Just like beer, cider has its different flavours. 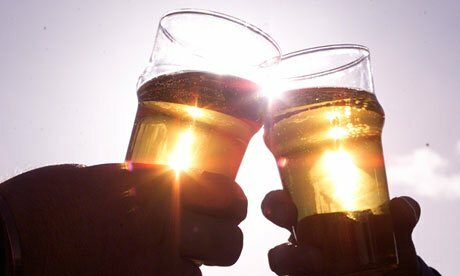 Dry ciders are associated with Somerset, and Devon offering sweeter ciders. Though as cider is found in all corners of the UK its much harder to make such classifications. Ciders makers that only produce industrial cider like strongbow or diamond white have not received a listing on this web site. Champion the Real Cider movement! I feel that this produces a drink although sometimes refreshing, have less flavour and character than real farmhouse cider. With consumers demanding higher quality in the food and drink industry I feel it’s time to champion the local producers who are carefully crafting natural real cider, using sustainable methods. By the producers carrying on this heritage means we can enjoy real cider whoever and wherever we live.